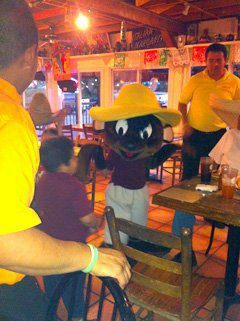 La Chalupa serves all of your favorite Mexican food in a fun family atmosphere. Since 1996, we’ve been one of Lancaster’s top casual dining restaurants, and we invite you to join us for your next meal or special event. You’ll get good food fast, just what you need when you’re looking for the nearest restaurants to your location. What sets La Chalupa apart from other Mexican restaurants near you in Lancaster, SC? First, we offer an affordable buffet with Mexican and American cuisine for both lunch and dinner. 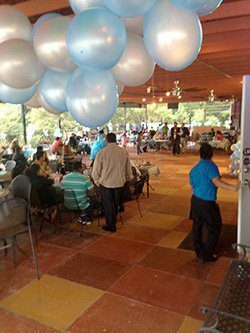 We also have a large outdoor dining area with a huge covered patio area that is perfect for large groups or parties. It’s easy to see why we’re one of the best Mexican restaurants in Lancaster, SC and all of South Carolina. 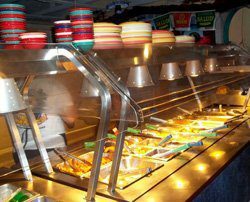 La Chalupa offers a full selection of appetizers, combination dinners, and traditional dishes like fajitas and nachos. Vegetarian and children’s options are available, as well as a lunch menu. We’re also popular because we’re a Mexican buffet restaurant near you. It’s the perfect way to get a taste of all your delicious favorites. And who knows, you might even discover a new favorite dish! Enjoy our lunch buffet seven days a week, plus a dinner buffet on Sundays. Child’s plates are available for the buffet, too. Our full service bar has a daily $3.99 draft margarita special, and also serves cervesa and mixed drinks. 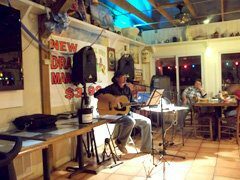 Be sure to join us for karaoke every Thursday night! No matter what you order, your food and beverages will be fresh, delicious, and of the highest quality. It’s why we’ve been a part of the Lancaster community for over 20 years. Groups & Parties Are Always Welcome! Some local restaurants in Lancaster, SC aren’t able to accommodate large groups or parties. But that’s no problem at La Chalupa! 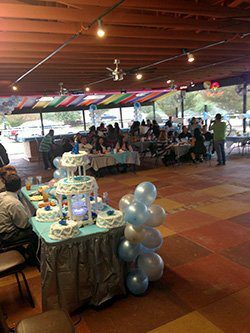 We welcome your group for any type of celebration. Our Mexican buffet restaurant has plenty of room so your entire group can enjoy a meal together. Our covered patio is one of the biggest in town. It’s perfect for large parties all year long. You’ll also appreciate that our staff is always welcoming and friendly. They strive to take extra special care of groups that decide to celebrate their special occasion with us. The next time you’re looking for a place to gather with all your friends, family, or coworkers, just call ahead to La Chalupa. You’ll quickly see why we’re one of the best restaurants in Lancaster for parties and celebrations! When you have weather as good as we do in South Carolina, outdoor dining is a must. 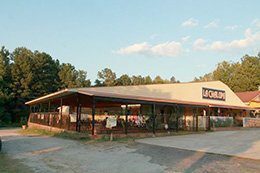 Here at La Chalupa, we have one of the largest patios you’ll find at any Lancaster, SC restaurant near you. Large parties often request seating in our outdoor dining area, but everyone is welcome to enjoy the warm sun and cool breezes while sampling the best Mexican food and cold beverages around. Just ask the hostess to be seated on the patio. We’ll be happy to take care of you and make sure you enjoy your time with us. Looking for Mexican Restaurants Near You? 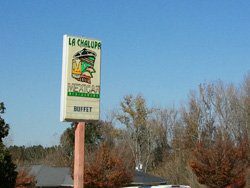 Visit La Chalupa the next time you’re looking for Mexican restaurants in Lancaster, SC. We promise you’ll get great food and fun times! You’ll find we’re one of the nearest restaurants to your location anywhere in the Lancaster area. It’s worth the trip for our delicious food! We’re open from 11AM-10PM Sunday through Thursday, and from 11AM-10:30PM on Friday and Saturday. Call ahead for take out orders or to make party reservations for birthdays, holidays, and other celebrations.